Spare time is a rarity these days for me and no doubt other parents. Between work, parenting and trying to maintain some sort of social life spare time is as rare as an honest politician. So it was with great surprise I found myself with a little spare time a couple of Fridays ago. I decided to use my spare time by going for a solo light lunch at a newly opened cafe. Bodlon, which I believe means 'satisfied' in Welsh, opened its door last month and as it's slogan states you are invited to meet, eat and shop. This cafe/gift shop certainly gets top marks for décor. 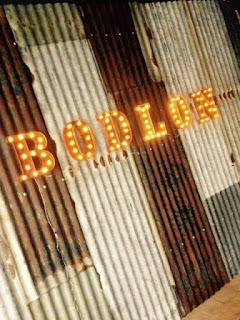 The corrugated cladding on one wall with bodlon spelt out in lights on it looks superb. A fantastic juxtaposition and a nice personal touch as the corrugated sheets are from the owner Nia's late fathers home. 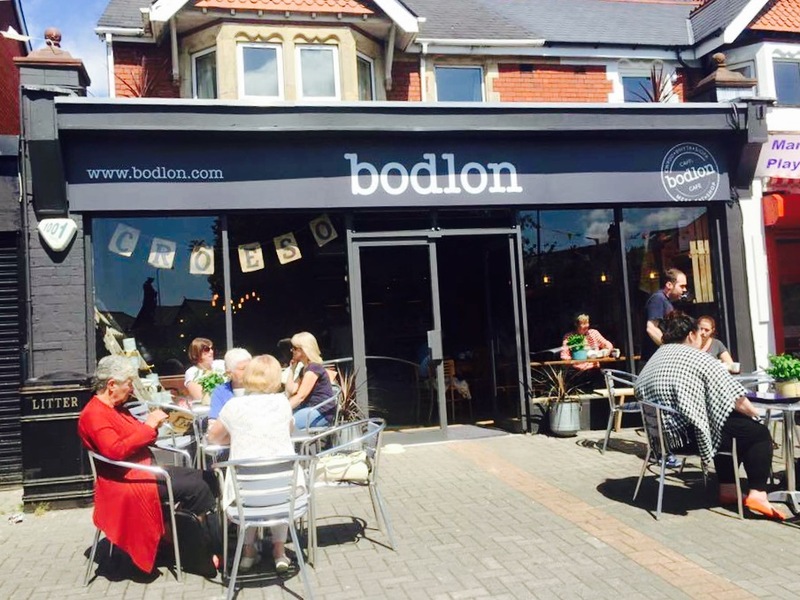 Elsewhere the essential filament style lights and distressed timber wall cladding give this place an eclectic feel that make it memorable and stand out from other cafes with its own distinctive agricultural/shabby chic style. Most of the rest of the wall space in the cafe is taken up with everything from bara brith baking kits to cushions for sale and everything in between! Aside from the delicious looking cakes and pastries the menu is mainly made up of various salad and panini options. 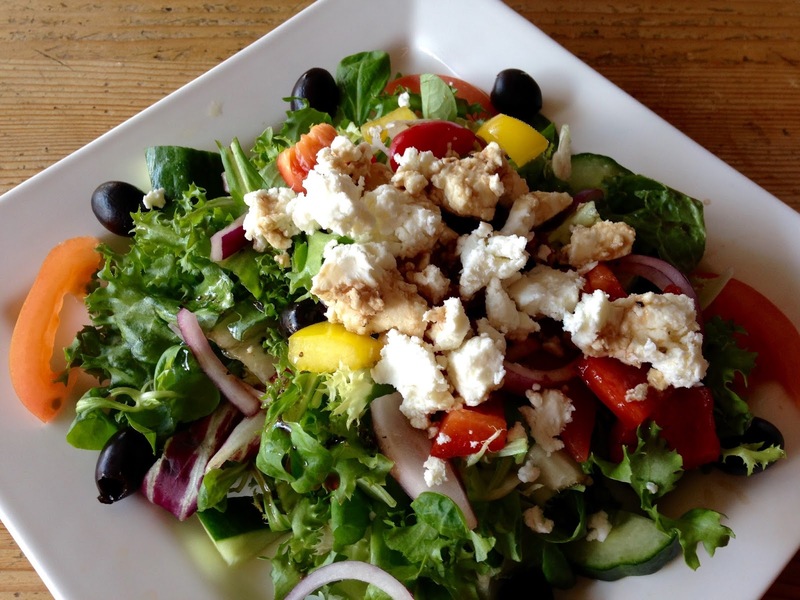 I decided to go for the Greek salad (£6.50) and an americano. The coffee served immediately was good the salad was poor. Dry salad leaves that tasted like they were straight out of a bag, poor quality olives and feta. The 'dressing' poured onto the centre of the salad and not mixed through tasted like it comprised solely of balsamic vinegar. The Greeks have enough issues without this being done to one of their most well known dishes. I maybe being harsh but the place had been open for a few weeks, it was quiet when I was there and it's salad. 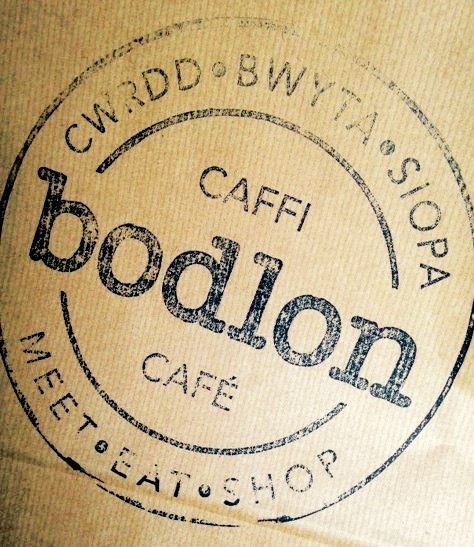 Bodlon has a distinctive style of its own which sets it apart. 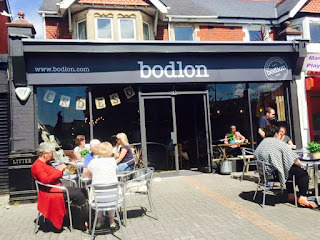 It's a great addition to Whitchurch that I can see being very popular. I would recommend it for a coffee, cake and catch up or to buy a cute gift. The food however needs work. So the month of August heralds the start of the Edinburgh Fringe along with a host of other summer festivals. Being a big fan of live comedy I've attended the Fringe festival several times and would highly recommend it to anyone. During this month the beautiful city of Edinburgh is awash with colour, frenetic activity and a little chaos! So along the way I've found myself going back to a few of the same places time and again. Sadly I am not going this year, so I thought I might share some of these places with you. This long and narrow bar/restaurant manages to pack a lot into the small space including an open kitchen. 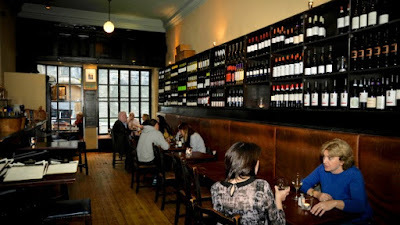 The walls lined with wine bottles creates a warm atmosphere and when busy the placed is positively buzzing with the clinking of glasses and chatter. I could spend hours here. I have spent hours here, at the neat fold up tables at the bar. 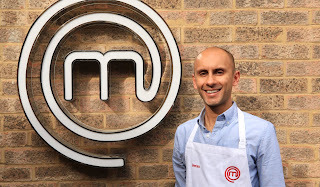 The food is of Mediterranean inclination and is really rather good, unpretentious and tasty. This fine dining Thai restaurant that towers above George street has an outside terrace boasting fantastic views over Edinburgh and toward the castle. It's a great spot for some drinks or a cocktail or two. Can't comment on the food as I haven't eaten there. One of my favourite places in Edinburgh is based on George Street and is a tardis of a building. Decked out in Spanish tiles and a hint of Moorish influence the tapas here is excellent as is the paella. 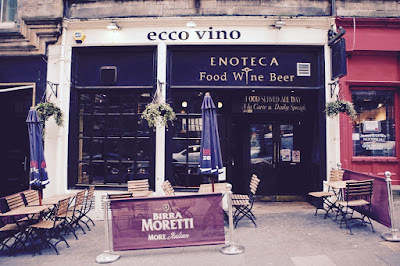 Good wine menu and excellent service, a must when you come to Edinburgh. Booking during the Fringe is wise. 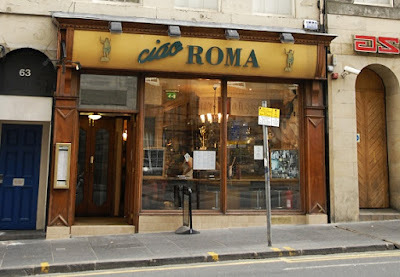 Is a traditional Italian restaurant on South Bridge that opens late and will serve those who have been too busy going to shows and drinking to eat; and now just want to fill what space they have left in their stomachs with carbs. Tasty, garlicky carbs. Perfect refuelling after a show. This slick hotel on the Royal Mile has a ridiculously glamorous bar. 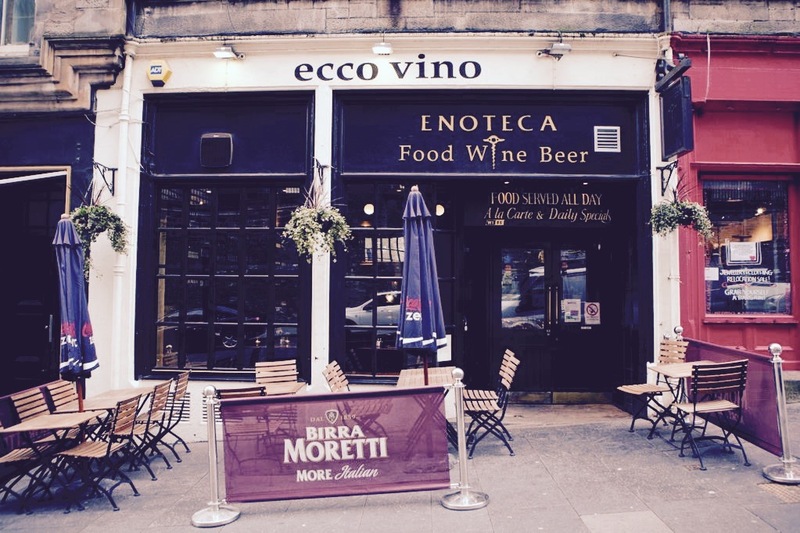 Great for a drink and to soak up the atmosphere. Continuously bustling during the fringe. So there you have it a few of the places I've enjoyed going to over the years and hope to visit during next year's Fringe. If you are going, have a great time!